Samsung’s Galaxy S9 and Galaxy S9+ are two of the best smartphones on the planet right now, and yet sales have been decidedly lackluster. In fact, “lackluster” might not fully encapsulate the situation — when is the last time you saw a flagship smartphone from the top smartphone vendor in the world get big price cut just one month after it launched? It’s unprecedented, and it’s pretty damning evidence when combined with all the insider reports we’ve seen that claim sales have come in well below expectations so far. Why are Galaxy S9 and S9+ sales so bad if the phones are so good? There are undoubtedly several reasons, but the biggest one might be the fact that Samsung chose to reuse the same design for a second year. So far, only Apple has managed to increase sales when releasing a new smartphone that looks just like its predecessor. Early Galaxy Note 9 rumors brought some more bad news for Samsung fans, because they suggested that Samsung would do the same thing with its 2018 Note phone that it did with the Galaxy S9 and Galaxy S9+. But then, a ray of hope: A leak suggested that the new Galaxy Note 9 will actually feature a refreshed design that’s even more sleek than last year’s model. Sadly, a fresh new leak from a source with a solid track record now suggests that won’t be the case, and any hope of a refreshed Galaxy Note 9 design may have just been dashed. Even to this day, the Galaxy Note 8 features one of the best smartphone designs we have ever seen. Of course, the same can be said of the Galaxy S8, but reusing that design on the Galaxy S9 and S9+ certainly didn’t do Samsung any favors. Generally speaking, people spending nearly $1,000 on a new cell phone want a fresh new design in addition to new features and upgraded specs. The only company that has found success when reusing old designs is Apple, and that’s largely due to the fact that iPhones have no competition. If you want a new phone and you don’t think the Galaxy S9 is worth the money, there are dozens of other Android phones you can choose from. If you want a new iPhone, you have to buy a new iPhone. 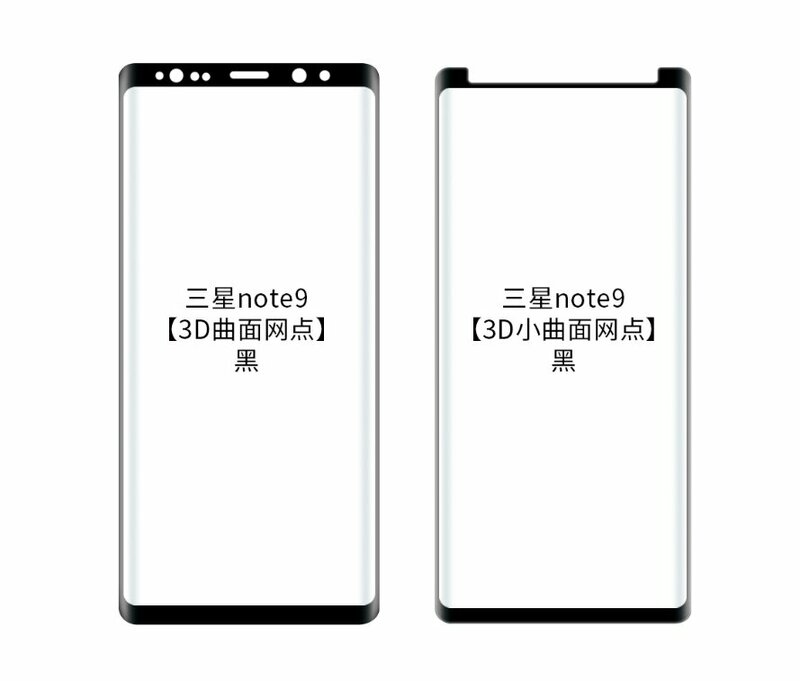 That brings us to the Galaxy Note 9, which was recently rumored to feature significantly smaller bezels above and below the screen. It’s not a major refresh, of course, but it would help modernize the design a bit. If nothing else, someone upgrading to the Galaxy Note 9 would at least notice the difference between the new phone and his or her old Galaxy Note smartphone. Now, however, a new leak from Ice Universe suggests the significantly narrower bezels we heard about aren’t going to happen. Ice Universe has a solid track record when it comes to leaks pertaining to unreleased smartphones, so this is almost certainly bad news for Samsung fans. In a post on Twitter earlier this week, the leaker posted images of the supposed Galaxy Note 9 screen protector we saw last week alongside images of a new screen protector with wider bezels that look almost as thick as the bezels on the current-generation Galaxy Note 8. According to Ice Universe, the screen protector with the wider bezels is the real one, which will come as something of a disappointment to anyone hoping for even a slightly refreshed design on the Note 9. Samsung is expected to unveil the new Galaxy Note 9 in early August, and the phone will likely be released before the end of the month to give it a few weeks on store shelves before Apple’s next-generation iPhone models arrive. But if it does feature the same design as the Note 8 and Galaxy S9 sales have been any indication, getting a jump on next-gen iPhones might be the least of Samsung’s worries.